Spring has already begun so it is time for change - not only of the weather, not only of the clothes, but also of our homes, towns and minds! People aren’t just spring cleaning their homes, they’re also spring cleaning their towns! 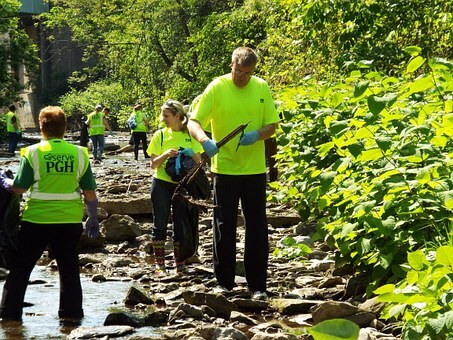 The Environmental Department of the Municipalities across Europe are already looking for volunteers to help them in this year's clean-up campaigns. Gloves, trash bags, and safety vests are provided by them for free. In other places, inhabitants make the organization themselves along with their own small local events. If you’ve been inspired by similar events, you can get involved anytime by cleaning up parts of your own community. Think of a place where you notice a lot of litter and challenge yourself to make it look better. Take a photo of it beforehand, then again after you’ve cleaned the area. If you’re planning to clean up a smaller pathway or a park, inform your municipality beforehand. They’ll even give you advice of how you can dispose of the trashbags after the cleanup. Share your opinion by voting in the poll. Your voice matters! Poll: What measures motivate you to get involved in local politics? New poll: What object symbolizes the smart city? New poll: How to improve the TheMayor.EU?